I never do a review about any book and this is the 1st book i gonna write a review on. The 5th edition of Food & Beverages Edition Voucher Book by Worthy Book. 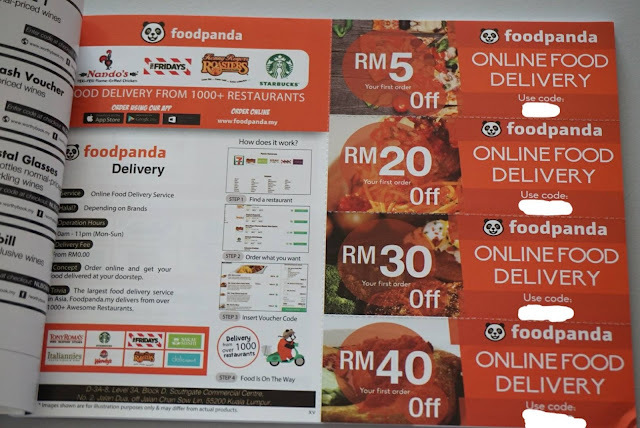 For the food lovers out there like me, this book is a worth, really worth....There are 180 vouchers which features 44 brands of restaurants and F&B franchises. Food vouchers to redeem from more than 100 malls in Malaysia. 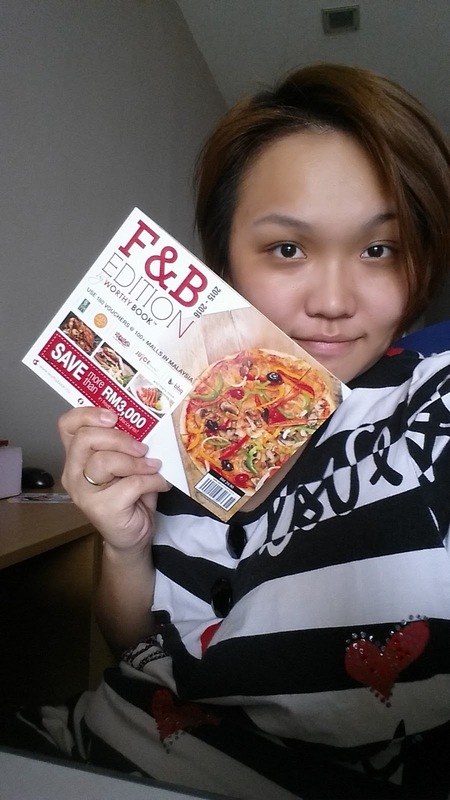 Let me list out which restaurant vouchers is in this fabulous voucher book. Picture above is just a small part of vouchers from this book. There is more and more fantastic vouchers inside. This series of voucher book and all the vouchers inside is expired on 30th September 2016....Still a long long way to go..
Other than this, WORTHY BOOK also sells the Ladies Edition vouchers book which included Shopping, Beauty, Fashion, Health & Wellness vouchers worth RM20,000 of freebies & savings. Other than buying from srores, you may also purchase it online. 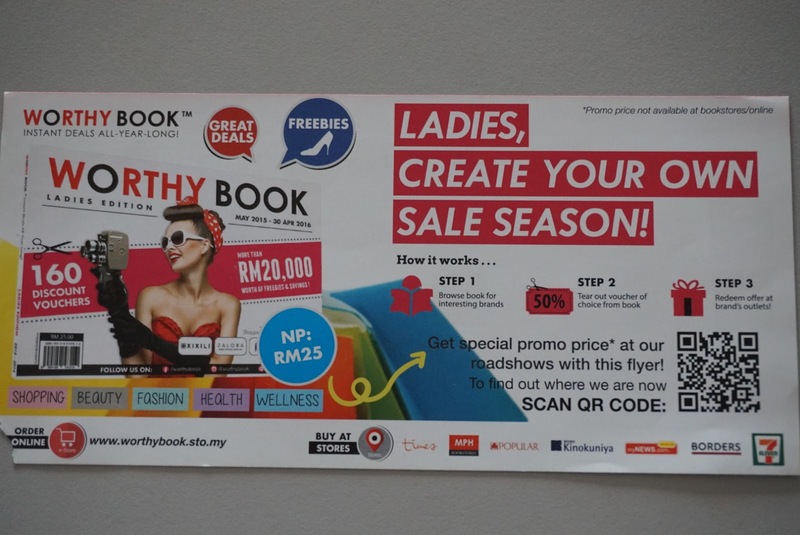 Don't forget to take a photo of your self with worthy book and enjoy 10 extra vouchers of your choice by taking picture with your Worthy Book, introduce a friend to buy a Worthy Book, Post a photo of you using Worthy Book (e.g. Worthy Book with products / bill receipt) then email to info@worthybook.my together with your Name , DOB , FB Email & Contact number. WHILE STOCK LAST~~~~act fast and good luck. Ill post out my 1st experience using the voucher from this fab book. 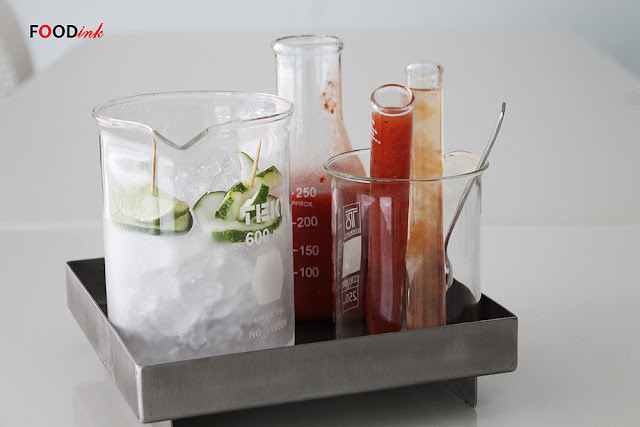 Who wants their drinks served in a science laboratory equipment like beaker, flasks, test tubes ? You, you, you, & you? YAaaa, this is the place you must visit if you wanna get your Albert Einstein mood running. 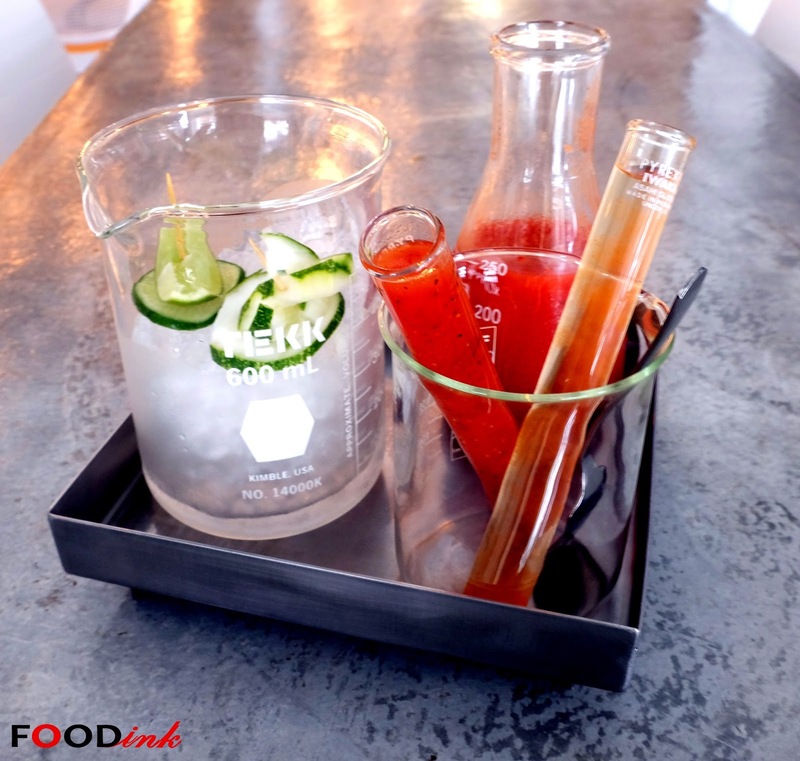 Tester Laboratory Cafe & Bistro is Malaysia very 1st Laboratory themed cafe. Setting up this cafe is not an easy task said the owner, Jun Tham. Due to their very special theme cafe, our Malaysia government is skeptical that they will do something bad in this cafe but apparently it is not. They are selling fantastic food & drinks here. Most of the cafe out there are using black theme for their cafe but this cafe is not. The owner of the cafe wants something clean and sleek so the customer here can mainly focus to their food rather than the surrounding. Tester Laboratory Cafe & Bistro in Bandar Menjalara, Kepong is a very new cafe to the neighborhood. They had only started their business on June 2015. As the name, theme & concept is still very new in Malaysia. Everything is still being tested out. Maybe the food or the drinks. Why Science Test Lab concept? Is because the owner hated science a lot during their school days and most of the science teacher never let the student touch or play with expensive science lab equipment. So due to their curiosity, a day, they must own their own equipment. When they are traveling to the Europe & Japan few years ago, they discovered several similar cafe and they think is very special. So far, no one has tried to open a Test Lab concept cafe in Malaysia and they wanna be the 1st. Tester laboratory serves mainly Western cuisine. They are still in the processing of experimenting as in which dish would be good for the menu. Therefore, do not be surprised if you see a different menu on the consecutive visits. Having said that, Tester Laboratories also have the flexibility in the menu in order to suit your personal preference. OK OK OK....Stop playing around, please go to the food please. Lets start with drinks first. Its a cocktail served in several beaker & testube. You may mix and match the quantity as you desire. Fun and tasty. Tester Laboratory Cafe & Bistro has 2 kind of Cocktail. One of it is already shown above, the Tester Bloody Mary which made from tomato juice and another one is Tester Screw Driver which is made from Orange Juice. The final thought of the cafe from me. See the food on the table? Alot? haha...anyway, its a good place to do a gathering. Please contact them to reserve a good spot for you. Come to Tester Laboratory Cafe & Bistro @ Bandar Menjalara, Kepong for a different feeling & taste of dining.